It’s a fun-filled environment, but hard, though! You get to experience places like this. This was taken at the Banana Beach Resort in Davao. It’s hard because we need to ensure our valuables are safe, especially, when we are in transit. When I say valuables, I mean our laptops, cameras, phones, planners, powerbank, pens, and more! Oftentimes, we need a reliable bag to carry those without us having to use multiple bags for each. 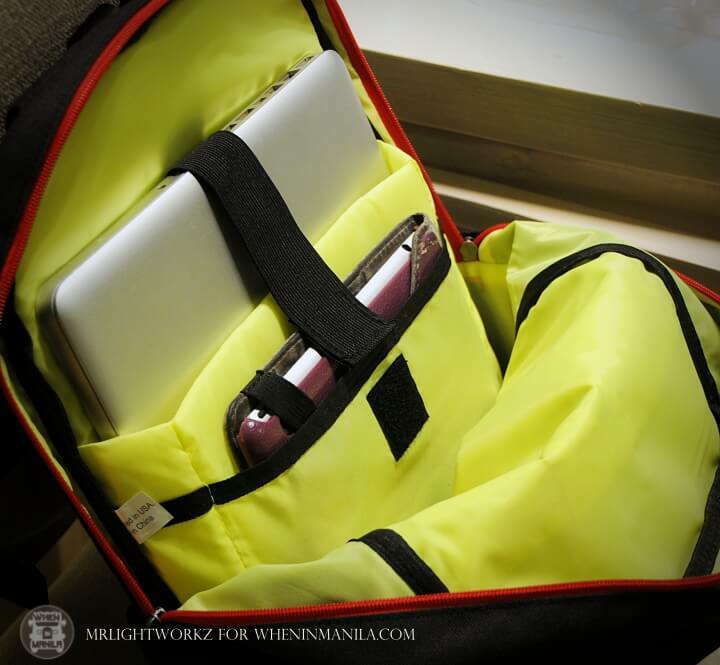 Thankfully, there are revolutionary bags available in the market like the Urbanize Bags. “Supplies for the Urban Adventure.” – I love the tagline: compelling and concise. When choosing a bag for either work, travel, or school use, we need to consider a lot of things. That aside from style, it has to be reliable, dependable, and durable at all times. “Stylish” is an understatement. Urbanize offers heaps of designs perfect for all kinds of personalities. 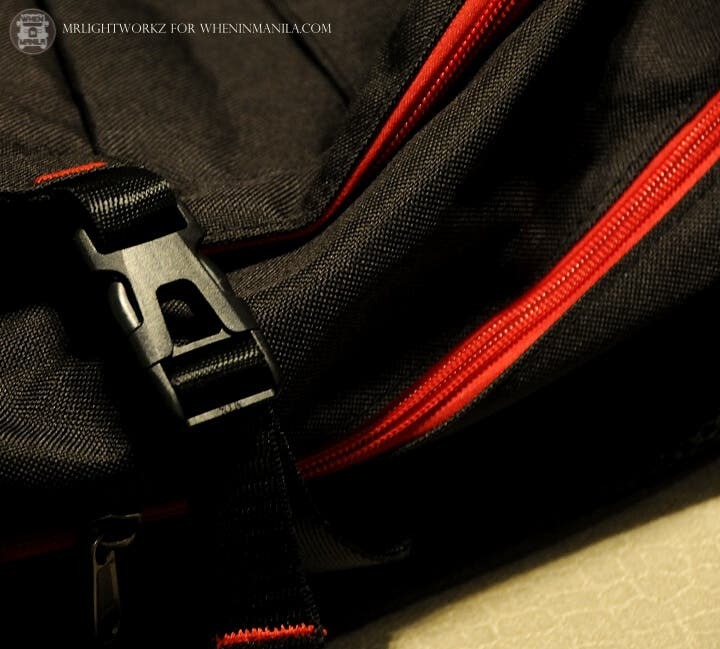 For instance, this Urbanize CentraI St Backpack looks simple but colorful in the inside. I love how bright the inside is. I specifically love this feature as it draws attention. When it comes to reliability, Urbanize got your back! Just so you’d know, Urbanize carries Pacsafe, which is known for its anti-theft features. According to the attendant, I spoke to at Urbanize Ayala Mall Serin Tagaytay branch, this particular bag has security features as well. If normal bags can be opened and slashed using a pen, thankfully, not for Urbanize products. Cool, isn’t it? Now, let’s talk about how dependable and durable it is. Since I’m always on-the-go, I bring my work everywhere. Therefore, I treat my gadgets as an integral part of my livelihood. In short, without them, I won’t be able to earn. Sometimes, I need to work and travel with children, so aside from my laptop, I also need to bring their iPad. With this particular bag, I can bring both, stress-free! It’s compatible up to 15-inch laptops. Look at this feature for moms with #momnesia and kids who are forgetful of their IDs and keys. AWESOME! This Urbanize CentraI St Backpack (Black) has padded shoulder strap for a more comfortable adventure. The compression straps are also adjustable. It also has a back airflow system and 2-side pockets for umbrella or water bottle. Well, I use both. It’s really designed to enjoy travel and work at the same time. Are you shopping for bags? Whether you’re shopping for personal use or for your millennial kids, Urbanize is your partner for a stress-free urban adventure! 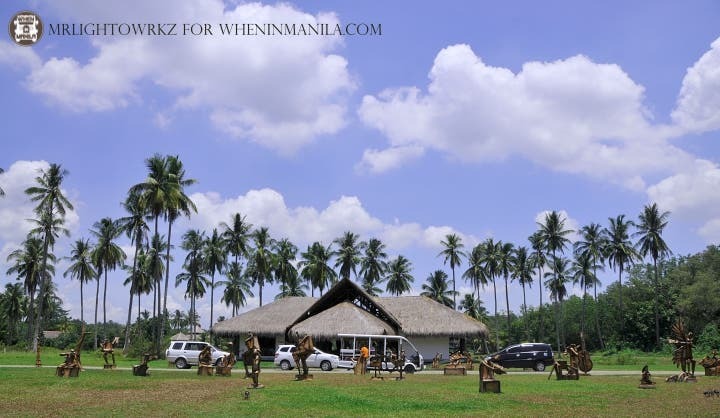 Article from www.wheninmanila.com written by Millie Manahan, When in Manila May 4, 2017. Click here for original article.